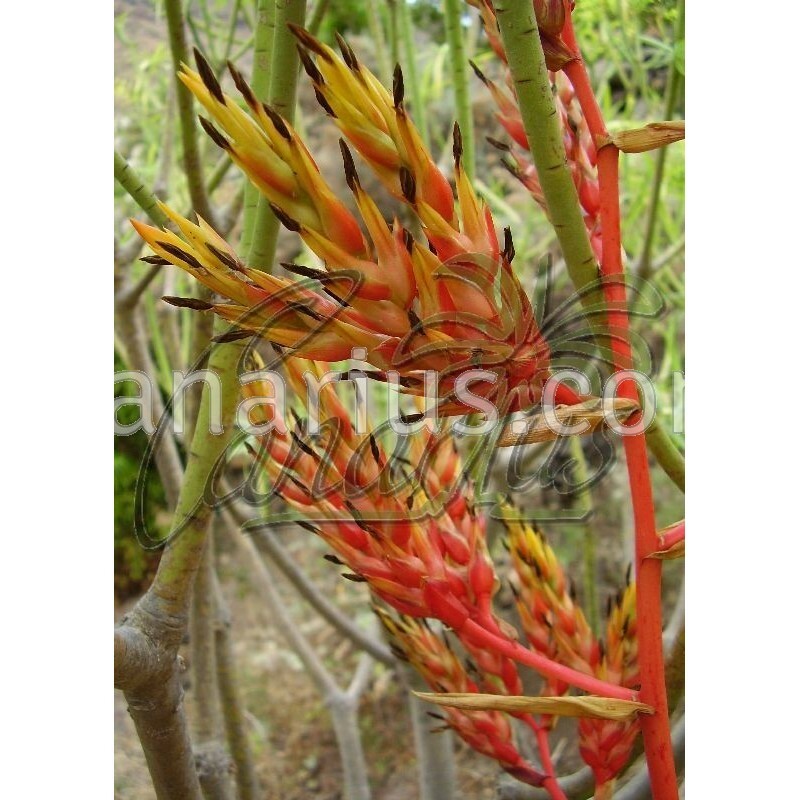 It blooms in mid to late summer with 1,6 m (5 ft) tall orange-yellow inflorescences, lasting about five months. 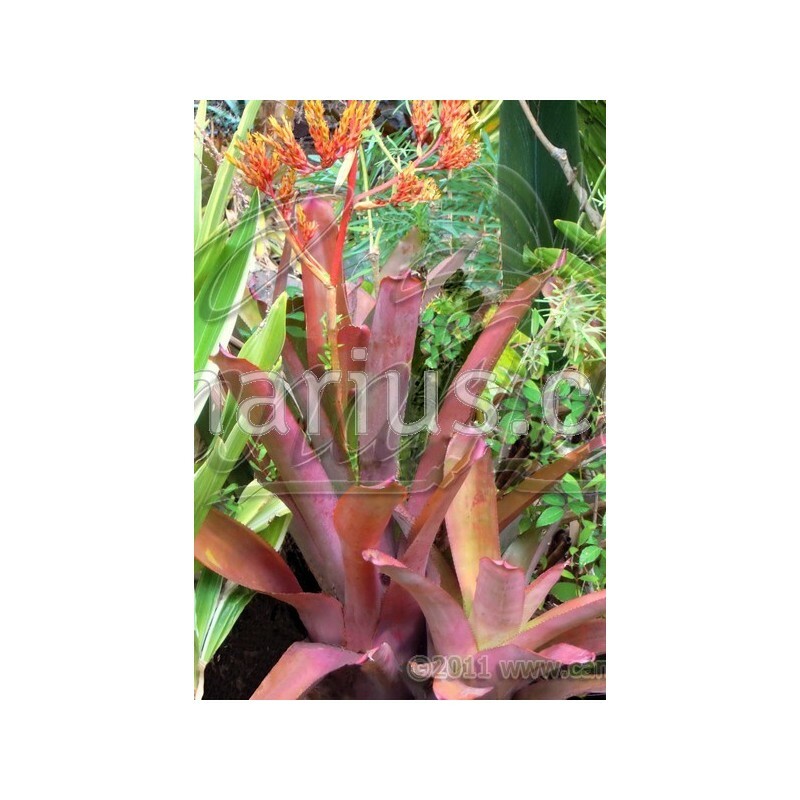 This plant was formerly cultivated under the wrong name Aechmea mulfordi, but it corresponds to a different species. 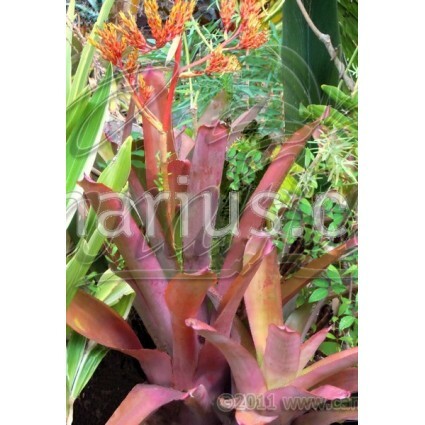 Aechmea callichroma is one of the best large bromeliads for sunny areas, often combined with the yellow-orange Aechmea blanchetiana, to achieve magnificent effects. 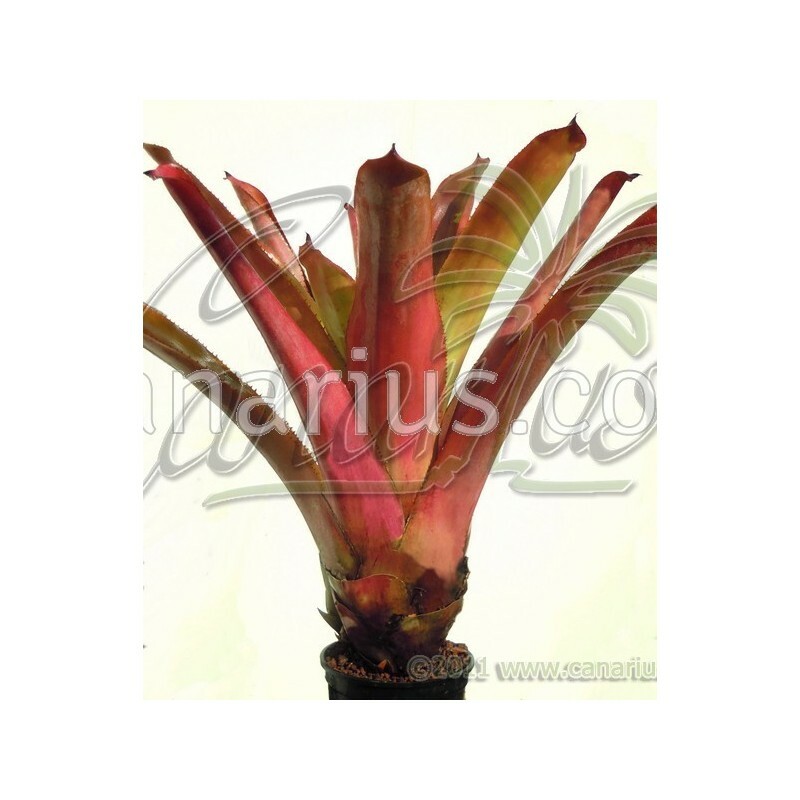 We sell very large 25-40 cm (10-16") bare-rooted pups. 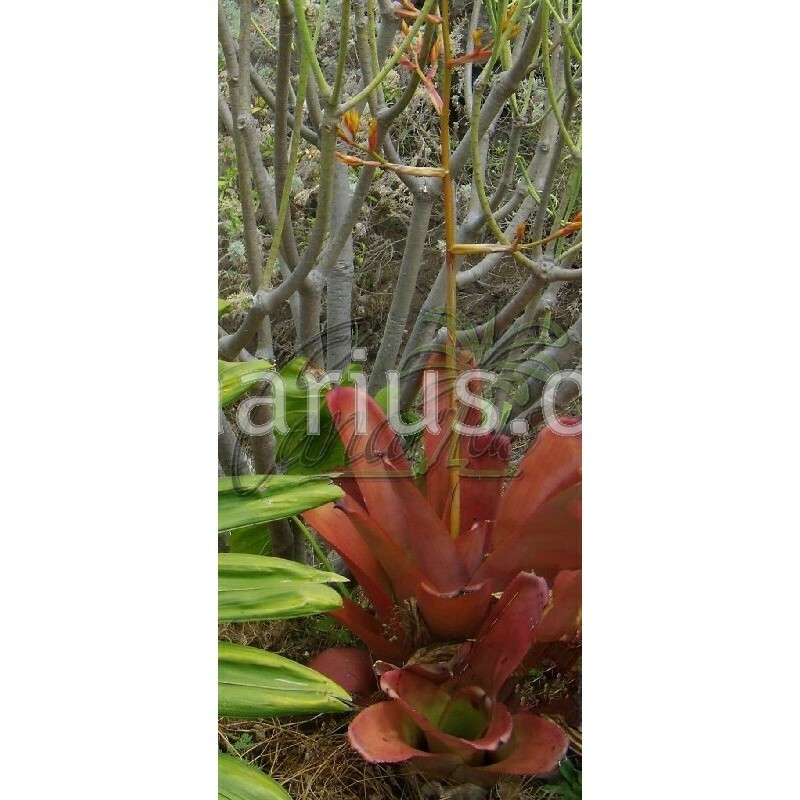 This species is large and therfore slow to establish - our pups can take two years to bloom. We ship it worldwide.